Hello Dare 2B Artzy fans! Hope you are staying warm in your part of the country. We had a bit of snow last week here in Denver, but not much. I’m here today to share a bright new card featuring one of the new Dare 2B Artzy stamp sets. This set is called the Aloha/Hibiscus Stamp Set. It features these gorgeous Hibiscus flowers as well as several palm leaves and some sentiments. There is also a matching die for this stamp. I was excited to get to play with these gorgeous hibiscus flowers. Since these are newly released stamps, they won’t be shipping until March 1st, so my card today was created using a digital file of the images.I colored the Hibiscus flowers with Copics using a combination of RV, YR and Y colors. I used the Red Violet colors in the center and added the Yellow Red and blended out to the tips of the flowers with the Yellows. I added a bit of clear aqua-shimmer pen to the flowers to give them a bit of sparkle as well. Once I was done, I fussy cut them out and set them aside. For the background, I cut a piece of 110lb white cardstock to 4 x 5 1/4. I used a stencil from my stash and used a blending brush to brush on some ink from the center of the stencil out using a teal-blue ink. The center was a bit darker and faded out to a lighter shade on the outer edges. I added some dimensional foam to the back of my stenciled background and placed it on a piece of textured blue cardstock. I placed my Hibiscus flowers on the front of the stenciled background with some dimensional foam. For the sentiment, I used the Aloha. I printed my digital images and sentiments on 65 lb white cardstock using a laser printer. I fussy cut the Aloha sentiment out. Since I had printed the images with my laser printer, I was able to foil it. To do that, I placed the fussy cut sentiment into a piece of cardstock folded in half and added a piece of hot pink foil on top of it. Shiny side up. I ran It through my foil machine on a setting of 5. Fun fact, you can even foil your stamps or sentiments in your stash if you have a scanner. Easy to ink a stamp with some Dare 2B Artzy Totally Black ink on a piece of heavy weight paper and scan them into a computer. Once you scan them, then print to a laser printer onto some 65 or 80 lb cardstock (if your printer will print that heavy weight paper). Any image printed on a laser printer or copier can be foiled. I let the foiled sentiment cool off before removing the foil to reveal the gorgeous shiny Aloha sentiment. I just love foiling sentiments. I added some small pieces of dimensional foam to the back of the foiled Aloha sentiment and added it to my card front. I chose this particular Dare 2B Artzy stamp set as my post today because Aloha in Hawaiian has a dual meaning. In Hawaiian, Aloha means Hello. HELLO -Dare 2B Artzy has lots of new and exciting things happening. 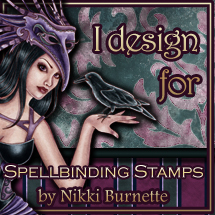 First there are some gorgeous new stamps, dies, paper and stencils that were just released. Lots of fun images to color and create cards, scrapbook pages and other creative projects. Again, the new stamps, dies, paper and stencils will begin shipping on March 1st. In case you haven’t been over on the Dare 2B Artzy shopping site recently, it’s all new. The new site looks beautiful! Please take some time to check it out. In Hawaiian, Aloha also means goodbye. This will be my last post with the Dare 2B Artzy design team. I made the decision to step down as part of the team for personal reasons. I truly love this team and the Dare 2B Artzy line of stamps, dies, paper, stencils and ink. I will absolutely miss working with every one of the talented ladies on this team. Thank you to to our DT Leader, Kendra and the team; Tracy, Melody, Tasha, Chris, Karen, Teresa, Michelle and Pam – you are all amazing and have so much talent. I’m humbled to work with such great talents as you all! I will miss working with each of you. I would also like to take this opportunity to thank the owner of Dare 2B Artzy, Cindy for giving me the opportunity 3 years ago to be part of the team and to design with her wonderful line of stamps. I have really enjoyed the last 3 years and the creative inspiration and freedoms I’ve been given as part of this wonderful team. Of course, I will still be around to guest design for Dare 2B Artzy from time to time or play in some of the upcoming Dare 2B Artzy challenges. For now, I have a laundry list of online courses I need to finish so I’ll be working on those and some other personal goals I’ve set for myself. Thank you to all of you who’ve been with me on this journey. I will still be sharing my personal projects on my blog on a regular basis for anyone who wants to follow me there at Krafty Enchantments.com. Love and blessings to you all! Remember, always Dare 2B Artzy! !